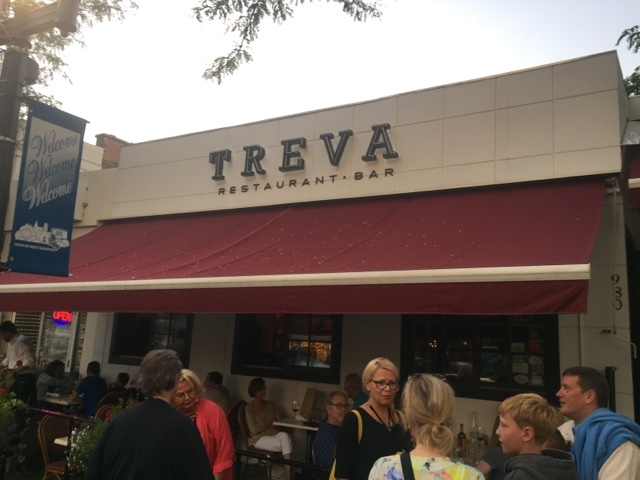 Treva in West Hartford, Connecticut offers fine Italian food that's a feast for the stomach and the eyes. All of their dishes are so elegantly prepared that it's almost a shame to dig in. Treva's bar offers many white and red wines to chose from, along with a large selection of cocktails. I started off the evening with their "Blueberry Smash," a high west double rye with blueberries, lemon, honey and mint. 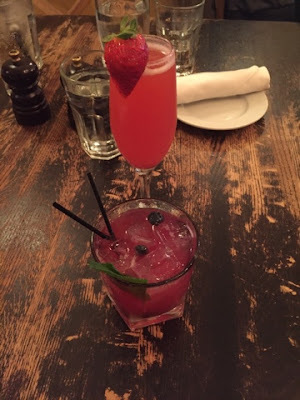 They also have a smaller happy hour menu with $5 wines, $6 cocktails and $3 and $5 appetizers. We began with a couple of their appetizers. 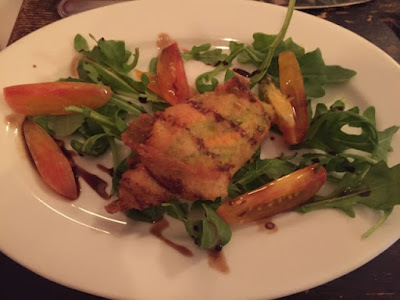 Their zucchini blossom stuffed with ricotta was amazing. It's served on a bed of arugula with slices of tomatoes. Other apps include steamed mussels, calamari and arancini. 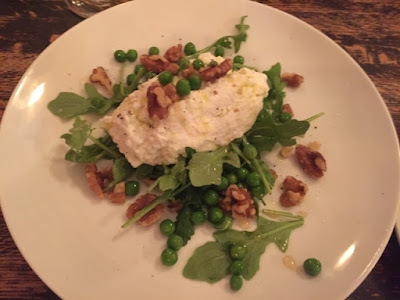 We also ordered their sheep's milk ricotta from their mozzarella bar. It's served with peas and walnuts and drizzled with honey. Be sure to save some of your Italian bread to eat along with this amazing dish. For dinner, their menu features all of the classic Italian pastas. Ravioli. Pappardelle. Gnocchi. Rogatoni bolognese. Orecchetti. They even have a squid ink pasta. 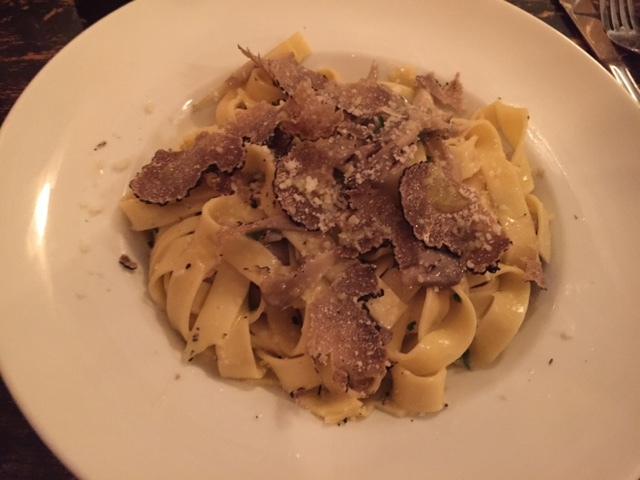 I ordered one of their specials, a stunning pappardelle with truffles. It was one of the most delicious pastas I've ever eaten. The cook on that homemade pappardelle was perfect. Not in the mood for pasta? Try their salmon. It's a massive cut served with saffron risotto. Pork chops, steak, swordfish, scallops and cod are among the other entrees also on the menu. They have all of the Italian favorites for dessert including ricotta cheesecake, tiramisu, chocolate cake and gelato. Treva was unforgettable from start to finish. Put this restaurant on your "must try" list.